Cable & Wire - RG-59TL-65BLK - Only $15.95! 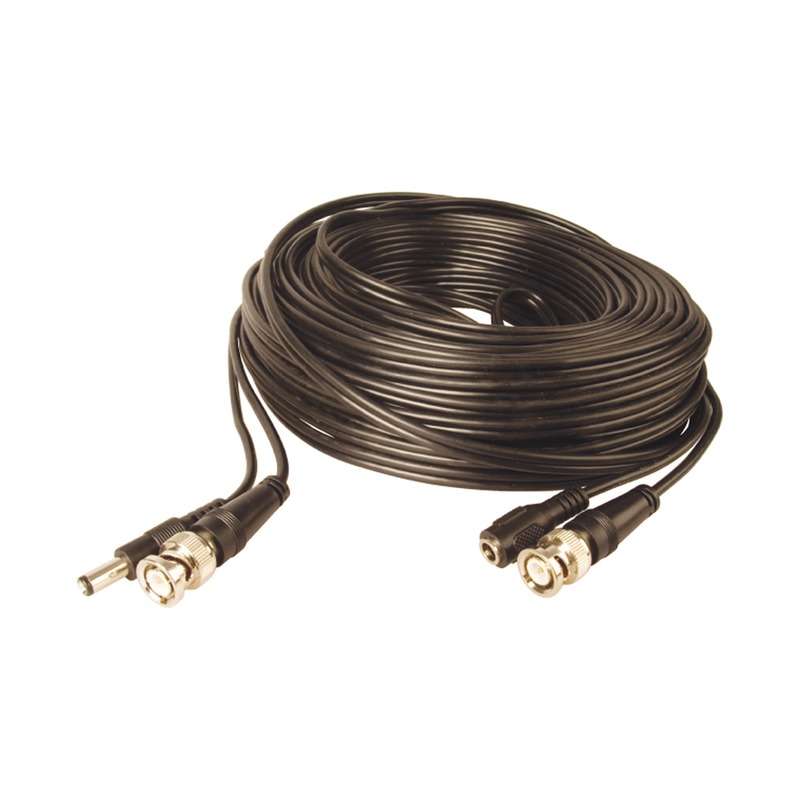 This high-quality, pre-terminated 65' length of RG-59 cable includes 18/2 power cable. Equipped with BNC-Male connectors on both ends, as well as 1x Male 2.1mm Barrel and 1x Female 2.1mm Barrel, this cable can run your power and video without the hassle of pulling two separate cables!